Getting allergic reactions from poison ivy, poison oak and poison sumac is no laughing matter. That’s why one must always be careful when going around places where these plants grow. Hypersensitive people need to be careful most of all. Any contact with these plants could endanger their lives. The skin irritant urushiol is present in poison ivy, oak, and poison sumac. It’s what’s responsible for poison ivy rash. There may be various treatment for poison ivy rash, but it’s way better to keep yourself from getting exposed to the allergen, urushiol. It’s not enough to avoid letting the plant touch the skin. Protective clothing and gear should help a lot. But then, what about the fact that the plants have touched those? Wearing those clothes and touching those outdoor gear still let the plants’ oily resin to get to the body. Therefore, washing affected parts would not be enough. How should urushiol be removed from clothes and outdoor gear? The idea is simple: wash off poison ivy. It’s not a complicated solution. However, there are proper ways for washing poison ivy off. Wash off with hot water and soap, detergent (better), or even rubbing alcohol. The best advice is to be careful while doing so. Remove clothing if contact is sure or suspected. Do not touch the exterior portions. Use gloves. Unbutton shirt and slip it off without touching the outside. Pull arms out of t-shirt sleeves. Avoid turning them inside out as they will touch skin. Pull the shirt’s collar over the head. Avoid letting it touch the face. Slide it off you. The idea is the same for other clothing items. Wear gloves, do not touch exteriors, do not turn clothes’ parts inside out, slide clothes gently off the body. Place all clothing on one towel or blanket. That keeps everything in one place and prevents contamination of other dirty laundry or the carpet, furniture and other appliances. Wrap up towel or blanket by tying together all four corners and making a bundle. Put it inside the washing machine, pour in plenty of soap and wash thoroughly through a long cycle. Learn more how wash clothes exposed to poison ivy, poison oak and poison sumac. Wash everything, especially boots and shoes. They may have stepped on a poisonous plant. Poison ivy on shoes (and socks and shoelaces), when not removed, can contaminate a person every time they are picked up, put on and/or taken off. Solvents work well when doing the washing procedure for these notorious poison carriers. Remove shoes/boots and leave them outside. That should protect other people. Shoes may contaminate the interior of a home, spreading urushiol on the floor and basically all over the place. Now, if the shoes are already expendable, throw them away. Do think of other people’s sake so find an out-of-the-way location or a disposal site. Prepare a laundry detergent, rubber gloves to protect oneself, and a bristle brush to get to the harder-to-reach parts. Mix 1/8 cup of detergent and 2 cups of hot water (use highest water temperature recommended for shoes). Take the laces off, pull the tongue out as far as possible. Hand-wash the shoe’s interior and exterior parts to remove the oils. Scrub smoothly the interior and exterior. Scrub all surfaces. Carefully brush the laces, too. Using a clean white cloth and clear water, rinse carefully and thoroughly everything that has been hand-washed and scrubbed. Put the shoes to dry for days. Choose a breezy spot that’s not under direct heat or sunlight. Treat the shoes with a leather conditioner if they seem stiff. That said, there is ANOTHER WAY to do it. 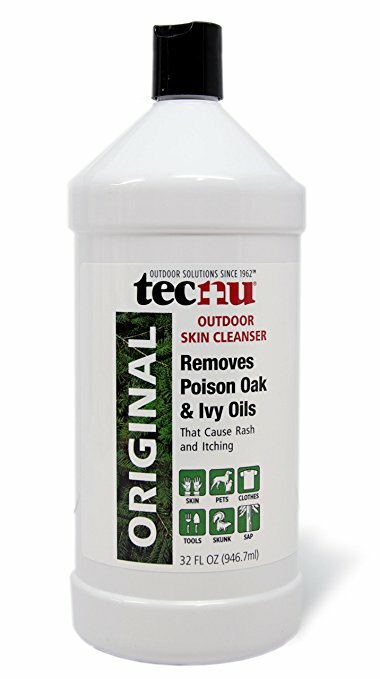 Tecnu Original Poison Oak & Ivy Outdoor Skin Cleanser is a proven and effective liquid skin cleanser. However, Tecnu Original is one versatile cleansing product. It can be used in washing contaminated clothes and gear, too! Do a spot treating with it or soak the stuff in Tecnu in a bucket or dishpan for several minutes before washing. Soaking will require a bit more of the cleanser. Wash outside tools and gear. Contamination may have been through camping, hiking, doing outdoor sports, or even simple yard gardening. 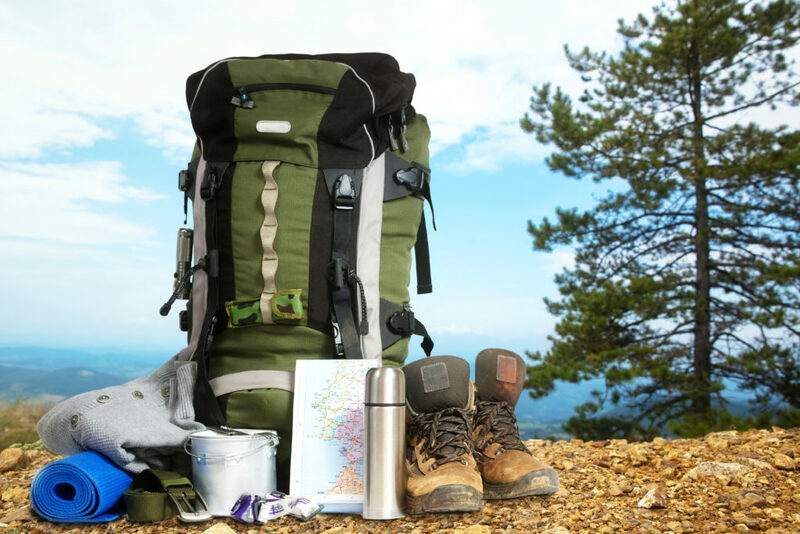 However acquired, make sure to wash well tools and equipment (like backpacks, camping gear, rope, hiking stick or trekking poles, sleeping bag, pack, sleeping pad, and shovel handles) with soap or with Tecnu. Neglecting to do so will just result in recurring instances of allergic reactions. Just like a poison oak on shoes situation. Wash the hammock. Due to the way hammocks are used, it is not impossible for it to come in contact with poison ivy one time or another. So how should one clean hammock with poison ivy? Remove the carabiners. Of course! Gently wash the hammock with some detergent and cool water. Use a front loading washer. Do not wash it with other stuff. Do not add fabric softeners or more cleaning agents. Line dry or air dry the hammock on a sunny, breezy day. However, to better wash hammock with poison ivy, the hammock may be soaked in a bucket of Tecnu poison ivy cleanser. Leave it long enough to really get the cleanser working. Hand-wash it when it’s ready, but wear gloves. Hang dry the hammock after. Do the same for tarps, suspensions and rain flies. Wash furniture (and pets!). Animals are usually immune to the effects of the poison plants, but they can be carriers of urushiol. The toxin gets transferred to people not just through petting and hugging. It can be through touching or using things and furniture a carrier pet comes in contact with, like everyone’s favorite sofa. Learn how to wash off poison ivy from pet’s fur. Wash everything one may have touched during contamination. This is rather self-explanatory. The challenge is in actually finding “everything”. The patient must be able to tell what he or she might have touched or brushed against (door knobs, cellphone, bag…). How long does the oil from poison ivy stay active on outdoor gear, shoes, and clothes? Urushiol stays in dead poison ivy plants till around five years. Burning poison ivy will only affect more people because urushiol may be airborne. Dried and detached brush can also still cause red, swollen blisters. If urushiol can remain that potent even with the poison ivy dead, then it can still remain potent when left on clothes and outdoor gear. It won’t take years, perhaps, but months of itching can already take its toll on anyone. That is why the faster to act on the problem, so much the better.